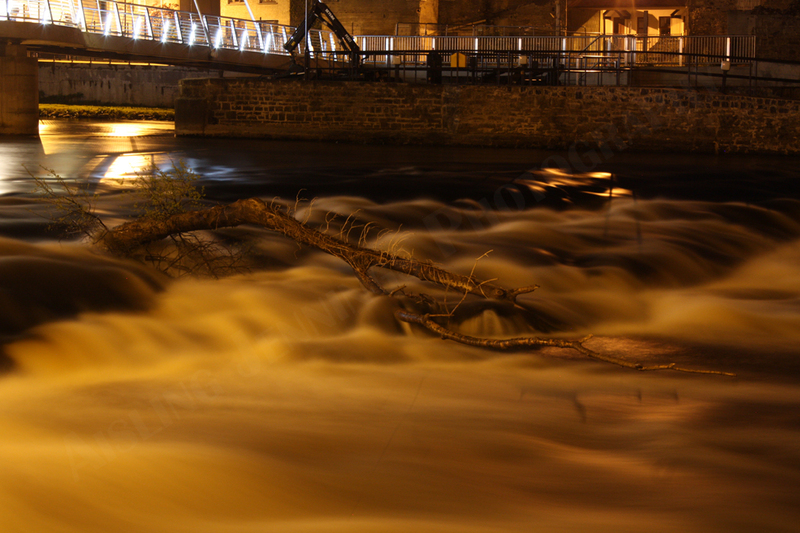 Photographs taken at night of the Salmon Weir in The River Moy in Ballina, Co. Mayo, and of the Salmon Weir Bridge over the River Moy in Ballina. 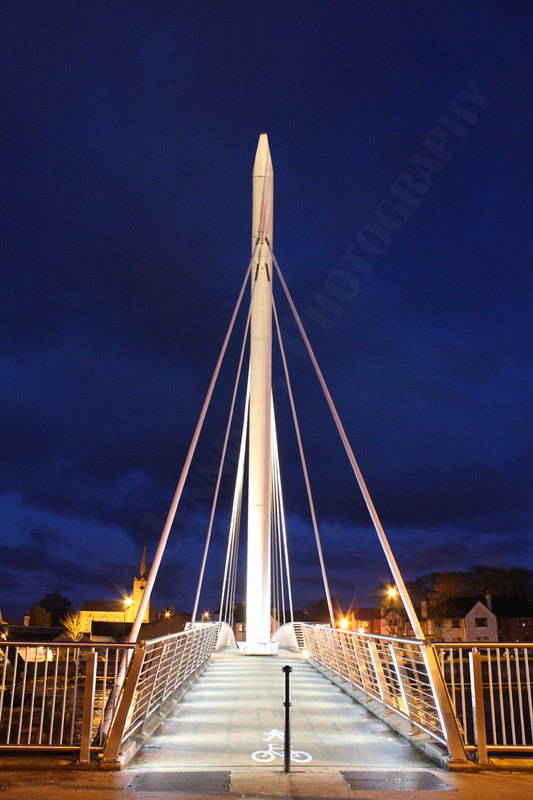 The Salmon Weir Bridge is a pedestrian bridge / footbridge over the River Moy from Barrett St. to Ridge Pool Rd. The bridge, which was designed to resemble a fishing rod, was opened in July 2009. 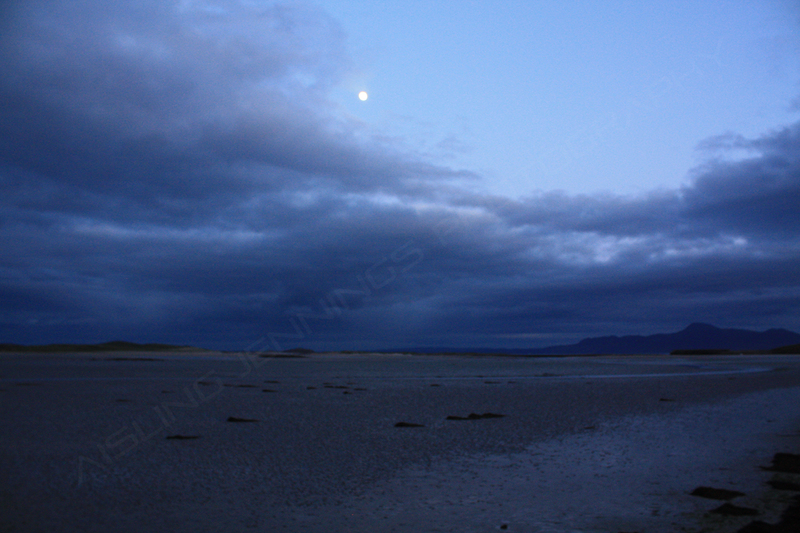 Mulranny, Co. Mayo in the evening / at night. 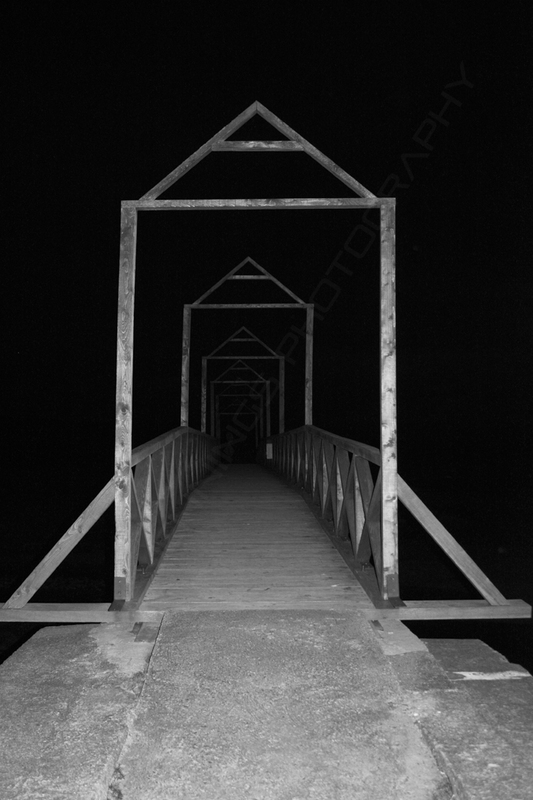 The walkway, bridges, seaweed, the moon, and the lights of the village in the night sky. 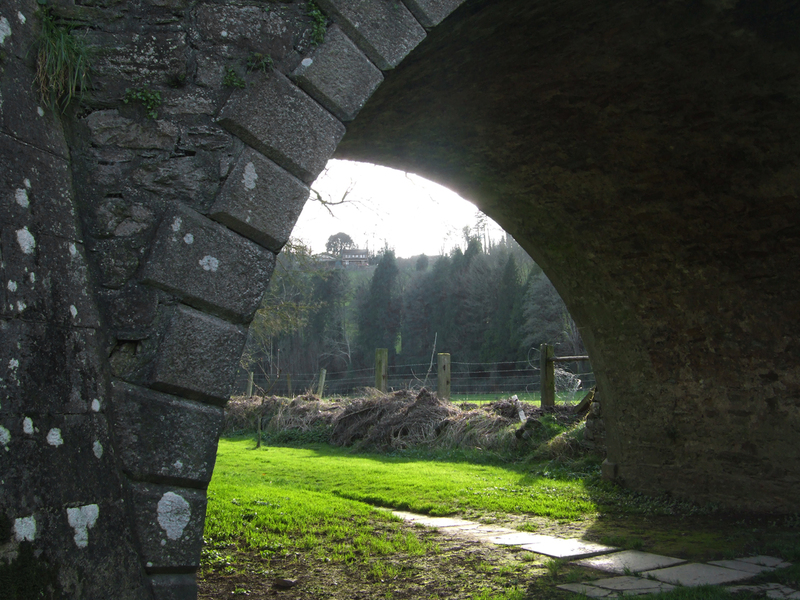 The little village of Inistioge (in-ish-teeg) is picture-perfect. 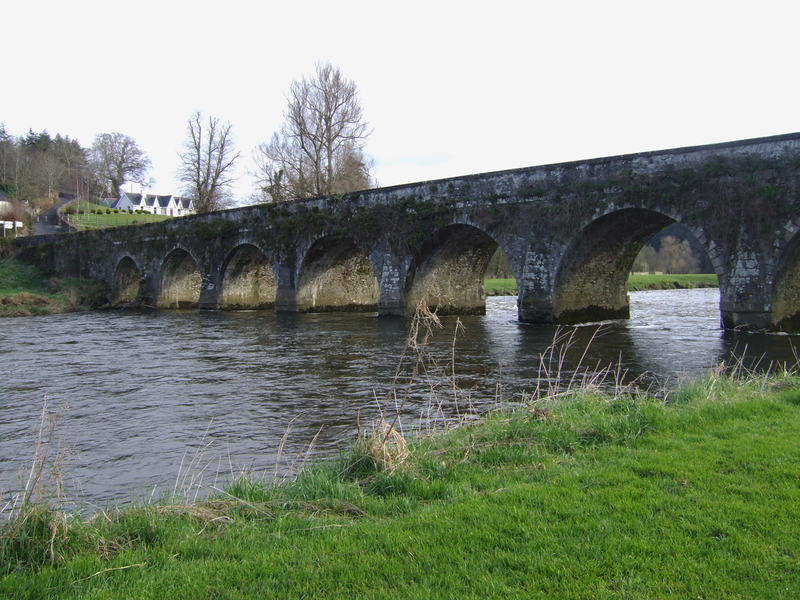 It has an 18th-century, 10-arch stone bridge spanning the River Nore and vintage shops facing a tranquil square. The Film Circle of Friends and Widow’s Peak were made in the village in 1993 and 1994. Bringing such movie stars as Mia Farrow, Chris O’Donnell, Minnie Driver, Adrian Dunbar, Joan Plymouth and our very own Mick Lally. 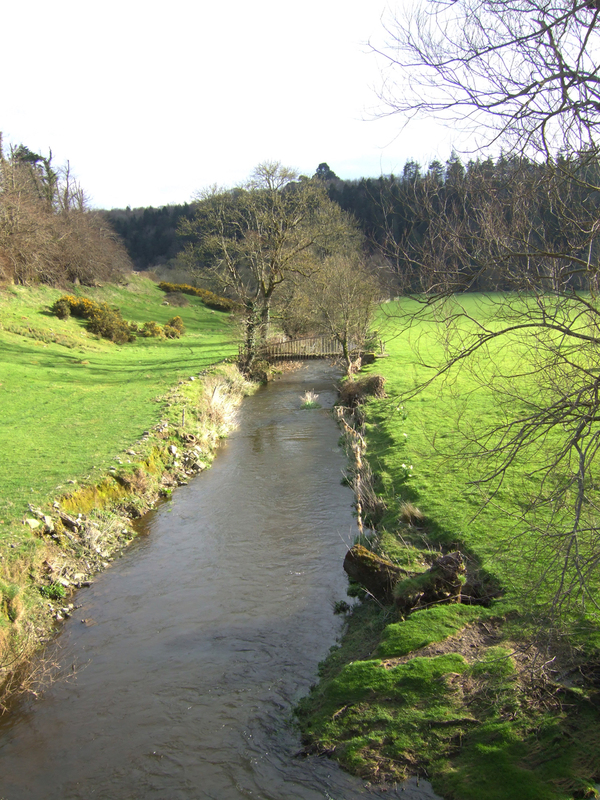 With a scenic stretch of the South Leinster Way coursing through town, this is a good base for exploring the region. The R700 from Thomastown makes for a lovely scenic drive through the river valley. For variety, try some of the small roads that lead off this into the verdant countryside – you can’t get lost for long. 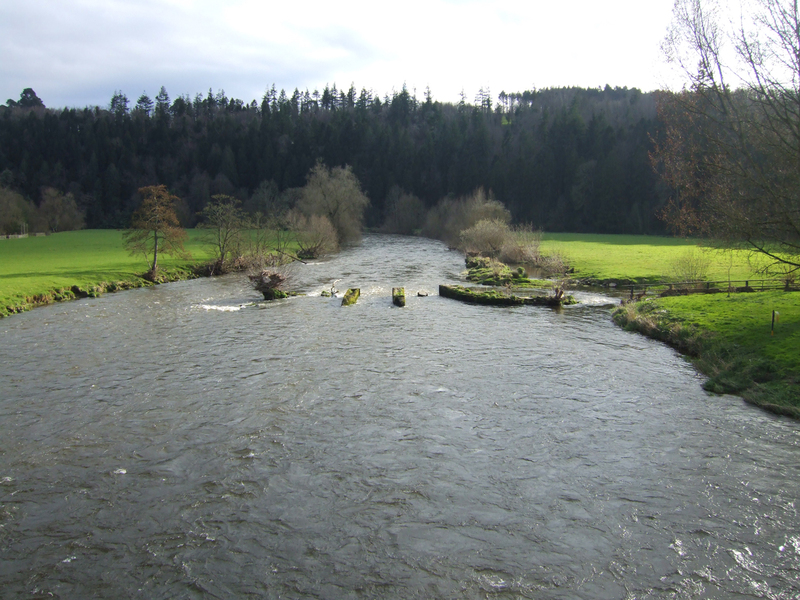 Better yet, try the hiking trails that follow the river. Side trails lead up into the hills.